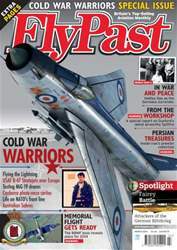 The March 2014 issue of FlyPast is a special edition focusing on the men and machines of the Cold War, along with all the regular features, news and air-to-air photography. We present a series of articles and images reflecting on the jets that ruled the air during the 1950s and 1960s, and profile an historic Australian-built F-86 Sabre that still flies today. 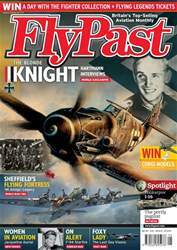 We also include over 20 pages focusing on the ill-fated Fairey Battle, an aircraft flown by heroic RAF crews in the early days of World War Two. Col Pope outlines the return to flight of Supermarine Spitfire FR.XVIIIe SM845 at Duxford. 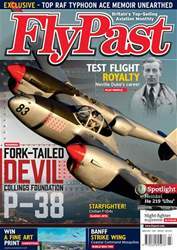 Sqn Ldr Dunc Mason flies the BBMF’s newly painted Spitfire, and talks to Steve Beebee about plans for 2014. Includes stunning air-to-air photography by Richard Paver. Babak Taghvaee visits the nation’s air force museum and details its turbulent past. 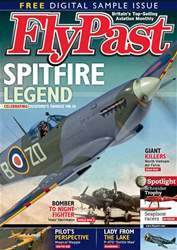 Barry Marsden pays tribute to the valiant combat career of wartime Hawker Hurricane pilot Frank Walker-Smith. 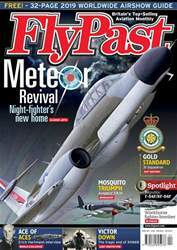 Plus a look a visit to Italy to fly alongside a magnificently restored Aermacchi MB326 jet, and breaking news about an English Electric Lightning getting airborne in South Africa, and the latest on the Blenheim restoration at Duxford. We also talk to a Bomber Command veteran about his time flying with Halifax units, and Ken Ellis takes us on a tour of old airfields in Gloucestershire.